NCTE Jobs Recruitment Notification 2018.National Council for Teacher Education, Statutory Body under the Ministry of Human Resource Development inviting applications for the positions of section officer, accounts officer, CPPMO, LDPO and JAO jobs.Interested and Eligible candidates can apply for the positions. Last Date: Within 45 days from the publication of this Vacancy Circular in the Employment News. 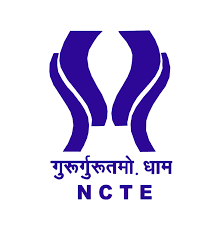 Number of vacancies to be filled in NCTE is 10. For eligibility criteria, age limit and selection process candidates may refer the official site. Through offline mode by 01st November 2018 candidates have to submit their application for NCTE recruitment. http://ncte-india.org is the link to download application form and send to below given address. National Council for Teacher Education, Wing.II, Hans Bhawan, 1, Bahadur Shah Zafar Marg, New Delhi-110002.